This is by far the best Basic Cheese Making Kit you can buy! No frills, nothing to go to waste. And Free Shipping to the lower 48 states! This is the same supplies and equipment used by professionals to make cheese. It contains some of the same quality products in our larger kits, just gives you the basic products you need to try your hand at making all kinds of cheese. And what better than to buy your kit from a store that takes pride in helping our customers! This cheese making kit ready to ship today by Priority Mail!!! Our kit is for making cheese with 1 gallon or less of milk. It does not contain any citric acid or vinegar, and there is no need for a microwave. Let's face it, real cheese takes time to make...some faster than others. But if you want the best tasting, all natural cheese, then this is the kit for you. 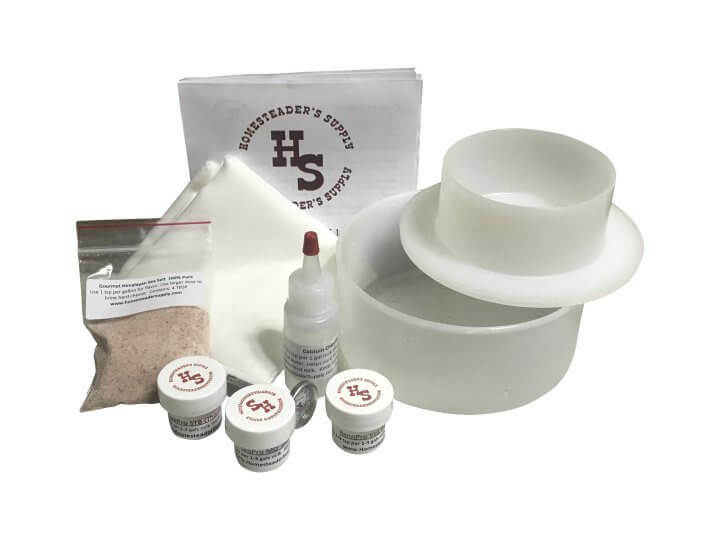 With this kit you will be able to make a variety of cheeses, as it includes both basic mesophilic and thermophilic cultures, enough to make up to 24 lbs of cheese from each type. And, these cultures are the type where you can make a mother culture for continued use, so they can last you a very long time. The cultures are from Italy and all are NON-GMO! The Reblochon Mold is the best one to use as a form for soft cheeses and mozzarella, and as a press for harder cheeses like Colby and Cheddar, making one pound of cheese from one gallon of milk! The rennet is vegetarian, and very concentrated only needing 1/16 of tsp for up to 3 gallons of milk! It's also from the same manufacturer in Italy as our cultures and also is Non-GMO! 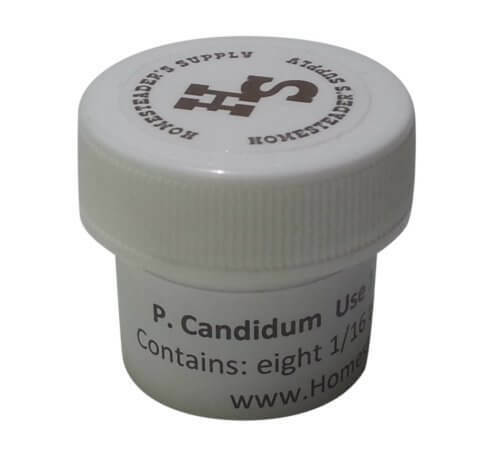 The the great news is that it is a Granular Rennet.. now you can measure exactly the amount you want, store in frig for longevity and isn't harmed by weather extremes like liquid rennet can be. The calcium chloride is for making cheese with pasteurized milk, necessary to help form the curds. And the bonus is you can even make butter and sour cream with this kit! All you need now is a cow! 1 Reblochon cheese Mold with follower (for making cheese with one gallon or less of milk! Note: This is just a basic kit. Although you can make cheeses like cheddar that are usually aged, this kit makes a 1 lb wheel at a time, and most people will love it so much they will eat it up long before they get a chance to age it with wax. 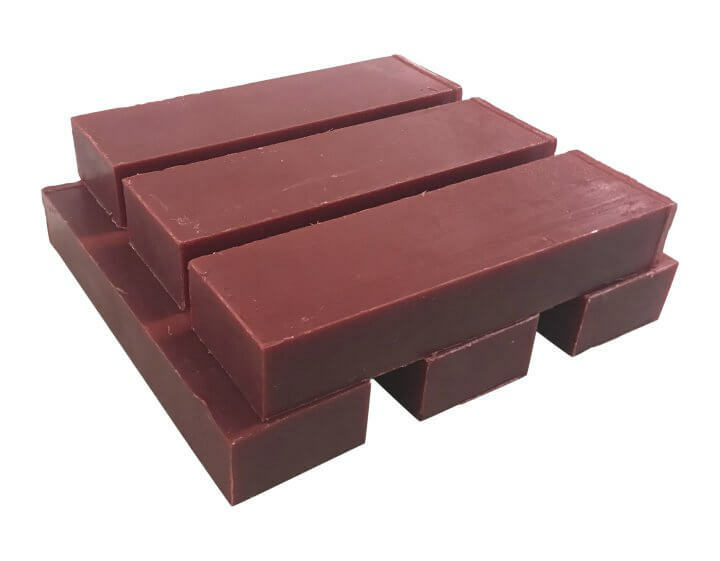 So if you are interested in aging your cheese, may we suggest the cheese wax and even the pre-wax mold inhibitor that you can purchase separtely from our webstore (only in warmer weather can we ship the pre-wax). You may even want the larger TOME Mold that will yield a 3 lb cheese from 3 gallons of milk. You may even want to choose one of the larger kits that contain these extra items. And also if you really want the very best recipes and have lots of expert tips on cheesemaking, purchase the book on our webstore called The Cheesemakers Manual, which is sold separately and in our larger cheese making kits. And the best news is we will ship this to your free of charge, Priority Mail, but only to the lower 48 states. Everywhere else there will be an extra shipping charge.